One of the best things that you can do for your skin is exfoliating it on a regular basis. This is a not so kept secret that can help keep your skin looking as good as possible. In fact, you should be exfoliating a minimum of two times per week in order to provide your skin with assistance in removing dead skin cells and such. Below, we will be going over some of the main benefits that you are going to get from using exfoliating towels. One of the biggest benefits that you are going to get from using one of these towels is the ability to brighten the complexion of your skin. Because you will be assisting in the removal of dead skin cells which can dull your skin, you will naturally be able to help minimize the dull appearance and brighten your skin. This will ultimately make your skin look much better overall. Another benefit that you are going to get from using exfoliating mitt is the ability to successfully unclog pores that might have become clogged due to dead skin cells. This is a great way to keep your skin’s complexion as clear as possible because a lot of people end up with acne or other sorts of skin problems due to their dead skin cells clogging their pores full of dirt and bacteria. 3. Improve Absorbption Of Skincare Products. Another benefit that you are going to get from using these sorts of towels is the ability to improve the overall absorption of all of the skincare products that you use on a daily basis. Because you will be able to remove the dead skin cells that are causing your pores to become clogged, using something to remove them will allow your skincare products to be absorbed much better overall. Overall, there are a lot of different benefits that you will be able to get from using exfoliating towels. 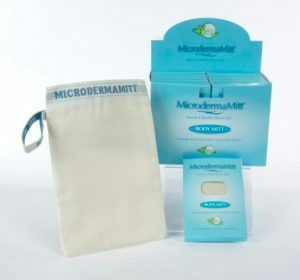 Not only will using these sort of towels allow you to remove dead skin cells from the surface of your skin, but it can also be a great way to get rid of acne-causing bacteria and allow all of your skincare products to penetrate your skin much more effectively which will help your skin look and feel better than it ever has before. It would be wise to invest in exfoliating towels for these reasons.